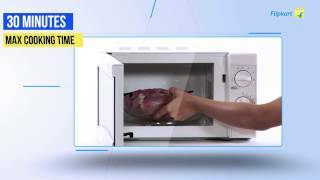 Invest in the Bajaj solo microwave oven to perform easy cooking, reheating, and defrosting. You can save time and energy spent in the kitchen, thanks to the convenient features offered by this oven. Go on and invest in this oven and enjoy making delicious food whenever you feel like. This product is available in Tatacliq, Flipkart, Ebay, Amazon.in. 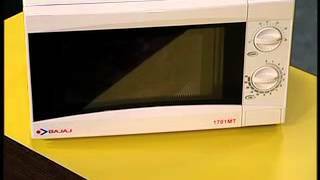 At tatacliq.com you can purchase Bajaj 1701 MT 17L Solo Microwave Oven (White) for only Rs. 3,699, which is 30% less than the cost in Ebay (Rs. 5,290). 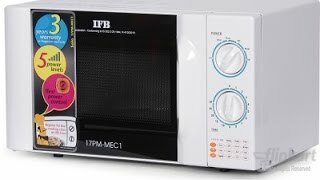 The lowest price of Bajaj 1701 MT 17-Litre Solo Microwave Oven (Black) was obtained on March 27, 2019 4:51 am. Bought it for the Office Dry Pantry. Instant hit with the employees, who are enjoying hot lunches now. The pachaging was good. Easy and handy operations. Everyone can understand. Its too cheap. Great deal. One can have microwave in 3500. Thanks amazon. Worked just for 48 hours .Called for the Bajaj customer care and he checked and said that there’s something defective. Hence had to return the product. Very good oven at this price range. Completely satisfied with this so far…..
Packaging is very good. I got it for Rs3299 during offer period .Best microvawe in this price.